The LivinRoom orangery is the latest addition to Opus's Orangery range of home improvement products. 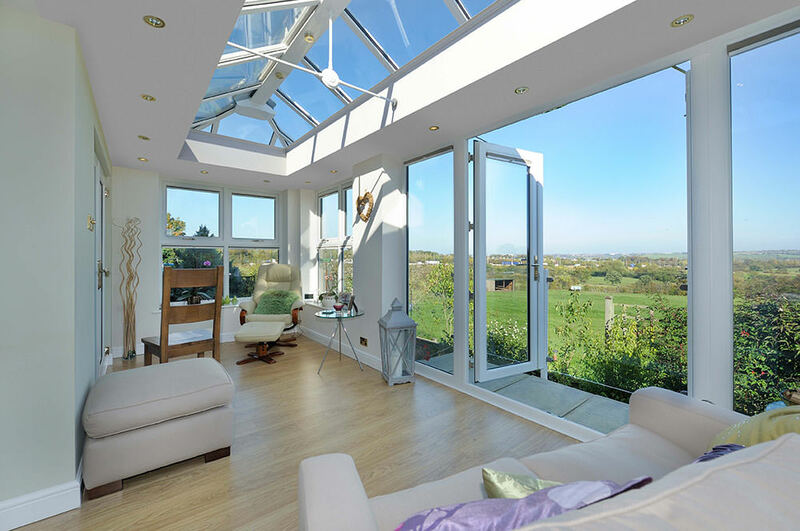 The LivinRoom orangery provides the best of everything, combining light and roof of a conservatory with the walls and ceiling of an extension. 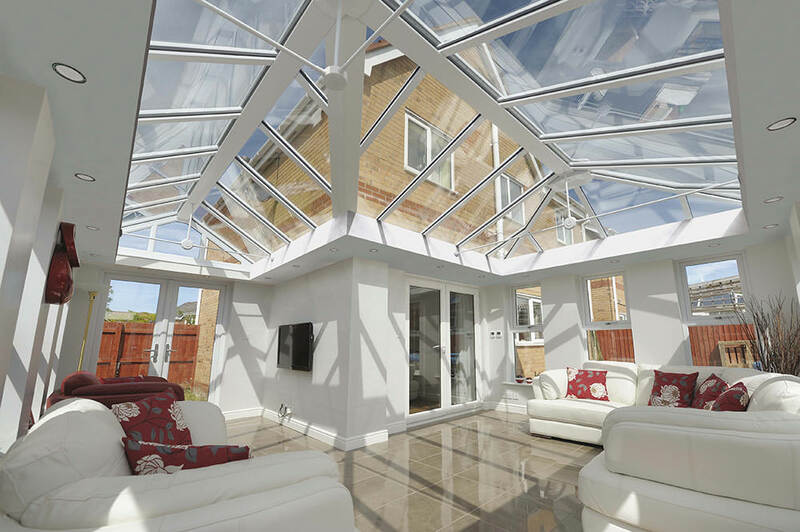 LivinRoom orangeries provide a completely multi-functional home extension, creating a beautiful space in your Romford home that can be used for personal relaxation or perhaps as a busy family room. The LivinRoom orangery uses the well proven Opus Classic roof at its heart, and a precision engineered internal framework is added, then plastered, to give a perimeter ceiling all the way round. The LivinRoom orangery can be designed in a variety of styles including Victorian, Georgian, Lean-to and Gables. It is also suitable for use with box gutters, so there is almost no limit to the design you can have. To further enhance the functionality of the LivinRoom Orangery, down lighters and speakers can be built in to the perimeter roof, giving you the opportunity to have a bespoke living space. You can also choose to have external cornice aluminium guttering which enhances the beauty of the LivinRoom orangery. The Loggia Prestige is the most affordable option in the new Loggia range, which has been designed to be an upgrade from a standard conservatory. It offers sublime aesthetics combined with intelligently engineered thermal improvements that will make your home in Romford warmer. 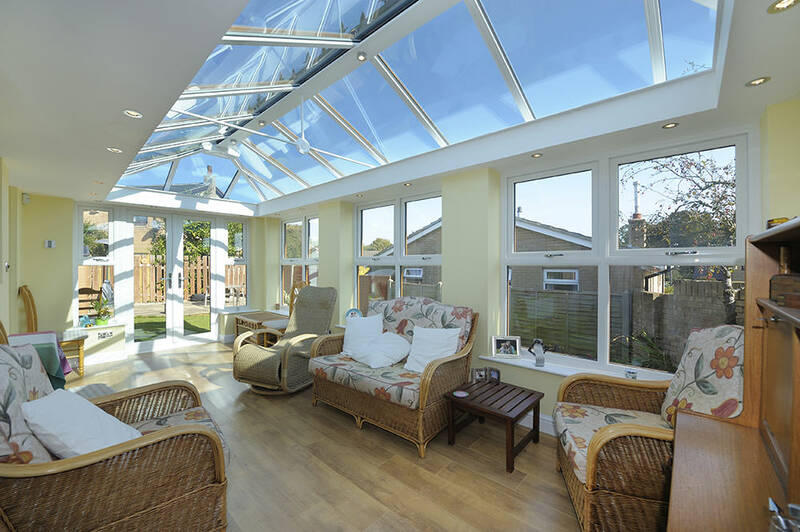 The room will be cooler in the summer and warmer in the winter, reducing your heating bills by up to 30% when compared to a standard conservatory. With the Loggia Premium, you have an exceptional range of design options, each enables you to incorporate your own personality on almost every aspect. Design options include multiple wide or narrow columns sitting on or off plinths, finished with the Classic Cornice, internally insulated with LivinRoom, warmed by radiant panel heaters and illuminated by LivinLight. Whether you’re seeking a minimalist look or want to maximise the wow factor you’ll have every opportunity to create an aesthetically pleasing Loggia to suit your budget. Loggia Premium can also help you turn down the cost of winter heating. Loggia’s integrated electric panel radiant heaters fit seamlessly into the full height of the wide column corner and each one provides more than half the heat you’ll need in winter, so you won’t have excessive heating costs. 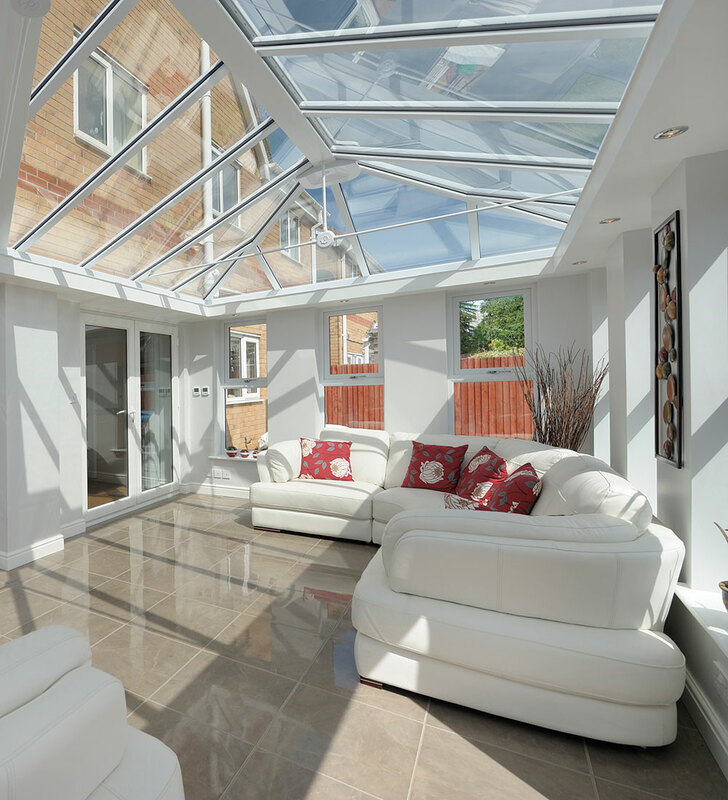 If you are looking for a truly outstanding lifestyle enhancing conservatory for your home in Romford, the Loggia Premium by Opus is for you. The Loggia Ultimate conservatory is perfect for those seeking an extension in total harmony with their home. The vaulted ceiling gives your new living space an even more spacious feel that you will use all year round. The Loggia Ultimate fuses all of the elements of a Loggia Premium conservatory with the superb roofing solution, the realROOF by Opus. The realROOF offers a magnificent vaulted plastered ceiling on the inside enhancing the feeling of space. It can be dressed on the outside with tiles or slates to exactly match those of your home. Loggia Ultimate allows you to integrate huge sliding doors, bi-fold doors and whole elevations of glazing. Contact us to find out just how competitive our LivinRoom prices are. We offer free, no obligation LivinRoom quotes to all our customers in Romford and Essex, you can visit our showroom, or try our online quote calculator. We also provide completely free design appointments at a time to suit you, where we can discuss all your options and requirements.